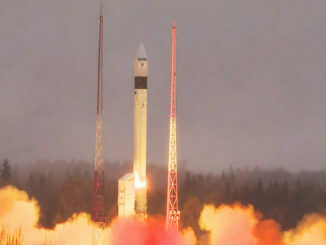 A new Russian satellite streaked into orbit aboard a Soyuz rocket Friday, carrying high-resolution cameras to survey the globe and a plasma physics experiment to seek out signs of exotic antimatter and dark matter in the cosmos. 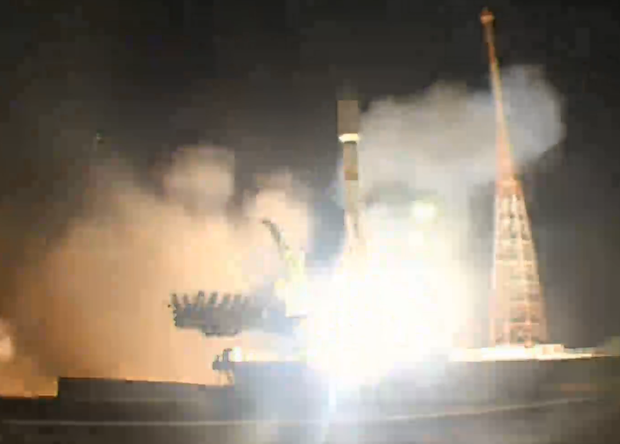 The Resurs P2 spacecraft lifted off from the Baikonur Cosmodrome in Kazakhstan at 1855 GMT (1:55 p.m. EST), rocketing into the sky north from the storied spaceport into orbit over Earth’s poles. 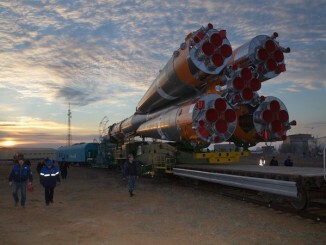 The Soyuz 2-1b booster’s shed four strap-on rocket engines, a core stage engine and a bulbous nose fairing as planned. A third stage RD-0124 engine completed the Soyuz launch sequence before the rocket deployed the approximately seven-ton satellite less than 10 minutes after liftoff. The Soyuz rocket successfully released the Resurs P2 spacecraft in the correct orbit, according to Roscosmos, Russia’s space agency. Designed for a five-year mission, the Resurs P2 satellite will collect imagery of Earth’s surface for distribution to Russian government agencies responsible for agriculture, the environment, emergency situations, fisheries, meteorology and cartography. Urban planners, road and highway builders, land surveyors, and the oil and gas industry could use data from the Resurs P2 satellite, according to Russian officials. Circling nearly 300 miles above Earth, the spacecraft carries narrow and wide field of view cameras for close-up snapshots with a top resolution of about 1 meter, or 3.3 feet, and wide-angle images scanning a larger swath of Earth in one pass. Resurs P2 has a hyperspectral camera mode to survey the ground in 96 spectral bands, allowing image analysts to tease out details about vegetation and crop yields. The hyperspectral data can also help scientists determine the effects of insects on agricultural harvests, soil salinity, and microbial activity in large bodies of water. 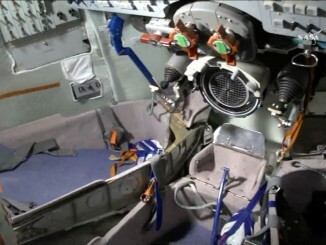 The satellite can also take three-dimensional stereo images. Resurs P2 was built by TsSKB Progress of Samara, Russia. The same storied space company is prime contractor for Russia’s legendary Soyuz rockets. 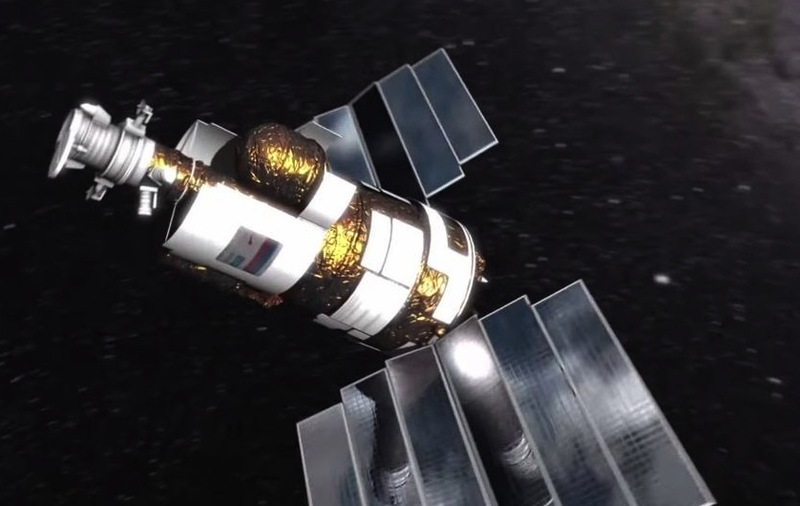 The civilian-operated spacecraft has similar performance to the U.S. and French-owned Earth imaging satellites, according to a TsSKB Progress press release. Resurs P2’s payload — including a suite of multiple cameras, an astrophysics science instrument, and a communications package to track ships — makes the spacecraft like four satellites rolled into one, the craft’s maker said in a press release. The Nucleon instrument developed by the Skobeltsyn Institute of Nuclear Physics at Moscow State University will detect high-energy cosmic rays to help scientists search for evidence of the existence of antimatter, dark matter and other strange forms of matter. When the Resurs P2 satellite enters service early next year, it will double the imaging capacity of Russia’s premier civil Earth observing satellite system. A nearly identical spacecraft, named Resurs P1, launched in June 2013 to replace an aging older-generation Resurs satellite sent into space in 2006. The extra imaging capacity provided by Resurs P2 will help the system’s users in the Russian government and international environmental agencies obtain more timely photos of regions of interest around the world. Data from the Resurs satellites aid in disaster response, help authorities update maps, track pollution, track ice in maritime shipping lanes, and detect fields of illegal drugs, according to TsSKB Progress. Russia plans to launch the third spacecraft in the new Resurs satellite series — Resurs P3 — in the fourth quarter of 2015, Roscosmos said.